My home office this week! Most of my town is without power, phones or wifi. 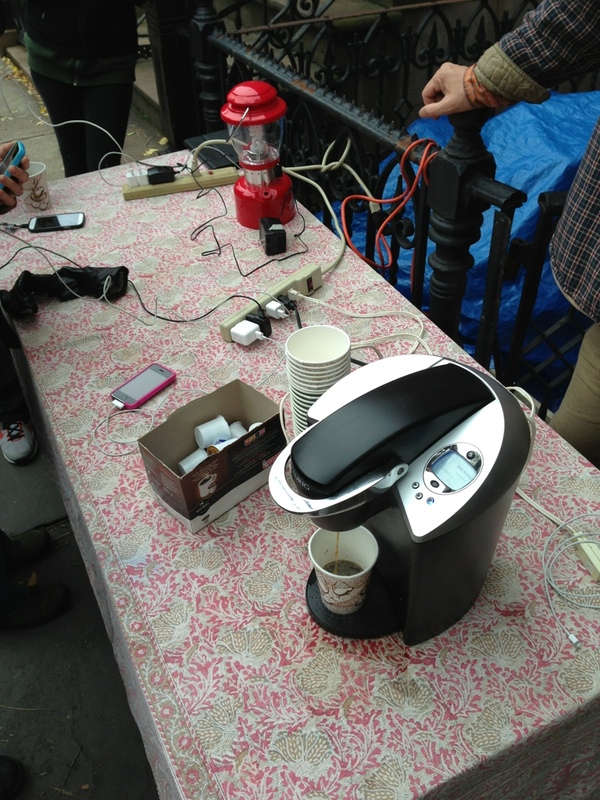 The amazing people along the few blocks that do have power provided free coffee, powerstrips and wifi. People are pretty amazing and I’ve had the opportunity to meet so many neighbors. A lot of wreckage, but a lot of positive action. Go Hoboken!